When's an "exclusive" in fact nothing of the sort? When it's on NBC5. 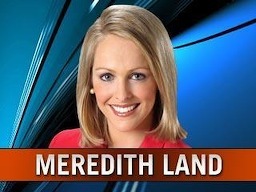 On the station's Friday 10 p.m. newscast, anchor Mike Snyder told viewers that reporter Meredith Land's interview with the widow of a deceased tanker truck driver had scooped the competition. It's a "story you will see only on NBC5," he crowed. Land supposedly had exclusive comments on the tragedy from grieving Sarah Webb, whose pain was palpable as she talked about her husband, Matt. He was the driver of a tanker that burst into flames on I-35E Friday afternoon after hitting a concrete divider. The entire freeway was shut down, creating a huge traffic jam that dominated that day's news coverage. Belo8 didn't claim any bogus exclusives. But it also led Friday's late night newscast with Sarah Webb's tearful memories of her late husband. In this case she talked to reporter Chris Hawes one-on-one. Rival stations Fox4 and CBS11 missed out on the Sarah Webb interview, but NBC5 misled its viewers in touting an exclusive that simply wasn't. The Peacock further cheapened its newscast with a top-of-the-marquee tease from anchor Jane McGarry, who warned, "Don't deck those halls just yet. 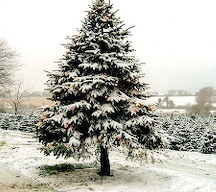 The important health alert about Christmas trees." The "important health alert" turned out to be a 16-second throwaway from anchor Snyder. "If you're not feeling well during the holidays, your Christmas tree may be to blame," he said before citing a study that said mold thrives on tree branches and could have an impact on allergy and asthma sufferers. NBC5 also had its annual holiday season informercial for a merchant that sells discounted Christmas trappings every year. "Brian, look!" a hyperactive shopper told reporter Brian Curtis. Furthermore, "It's not cheesy. It's the good stuff." She couldn't say as much for most NBC5 newscasts, particularly this one. Over on Belo8, investigator Byron Harris again poked around some nefarious electronic poker parlors, announcing his presence in one case with a jaunty, "Byron Harris from Channel 8. How are ya?" These fly-by-night operations all look pretty sleazy, if not cheesy. But Harris and fellow investigator Brett Shipp seem almost obsessed with bringing them down. Too much so, frankly. Know when to fold 'em. Later, reporter Steve Stoler had a "Blinded by the Light" story from Little Elm, where some residents don't like the heavy wattage coming from a nearby football field. "It disturbs my quality of living," said one neighbor. Another said he couldn't enjoy the stars because he can't see them. Other residents welcome the brighter lighting, which makes them feel safer when taking nighttime walks. It basically seemed like lotsa ado about nothing, with cameras unable to effectively illustrate the alleged problem. Fox4 had another largely nondescript Friday night newscast, which was cut in half by a companion sports Hilites program anchored by veteran Max Morgan. Its network's prime-time ratings invariably are dismal on Fridays. Fox4 in turn seems to be pretty much throwing in the towel rather than investing much energy and resources into that night's 9 p.m. news show. Largely uneventful as well, CBS11 did have a heartfelt human interest story from Nerissa Knight, a newcomer who clearly has the common touch. She spotlighted a 70-year-old Goodwill employee who had her well-dented 1995 Oldsmobile Sierra stolen from the store's parking lot while she worked inside. The car clearly is important to her, and Knight's story communicated that. Maybe a Good Samaritan can help out. ***As anticipated, Fox4 picked Roger Staubach as its "Greatest Cowboy" on Sunday night's sports special, with Troy Aikman ranking No. 2. It was a good "sweeps" gimmick while it lasted, and sports anchor Mike Doocy did a nice job with the segments. ***Meanwhile, Doocy's counterpart at Belo8, Dale Hansen, was out sick on Thursday and Friday. Weatherman Pete Delkus, who regularly makes fun of Hansen's ample weight or disappearing hair, play-acted like a forlorn Cisco without his Pancho. "I have a heavy heart tonight," he told anchors John McCaa and Gloria Campos. "I haven't seen Dale in two days. And Dale, I know you're watching tonight. I just want you to know I miss you. I love you." Substitute sports anchor Joe Trahan, left to feel like burnt toast at a Ritz Carlton brunch, said he'd "never seen two men love each other so much." "We man-love," Delkus said, laughing. Only eight more weeknights to go.